After a very tasty lunch of fish & chips (just fish today though – cod) and Italian ice cream, I walked up to the British Library, but on the way I also went through the British Museum (as a shortcut, since it was in my way) and through the grounds of the University of London (Birkbeck), which was a nice little area to walk through in the middle of the city. 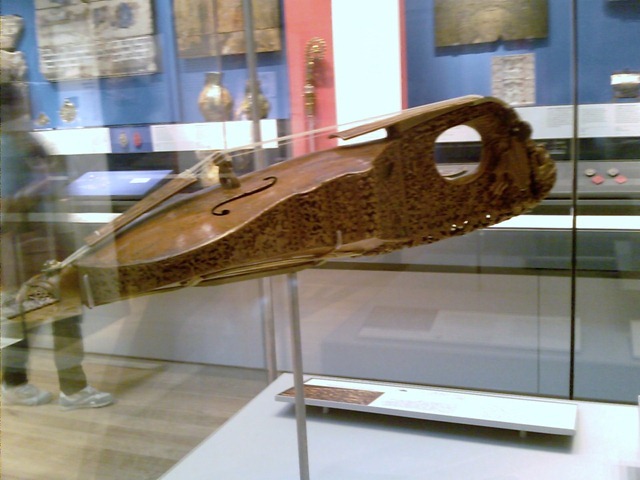 While walking through the British Museum, I saw a citole, which was a predecessor to the violin. That’s what’s pictured here. We saw Ed Byrne last night at the Vaudeville Theatre in the West End of London. Lorie and I missed him when he came through London last time as part of the post-Edinburgh Festival Fringe tour (he has sold out 6 times at that festival), so we were happy when Anne suggest we go see him. If you ever get a chance to see him, I think you’ll enjoy it. The Seattle Post Intelligencer’s globe has been in Seattle since 1948, and now it is the latest to be honoured in Milo’s iconic tour of Seattle. Notice the Space Needle is in the reflection of the windows too – two landmarks at once! Milo and I ran across the Oscar Mayer Wienermobile today. 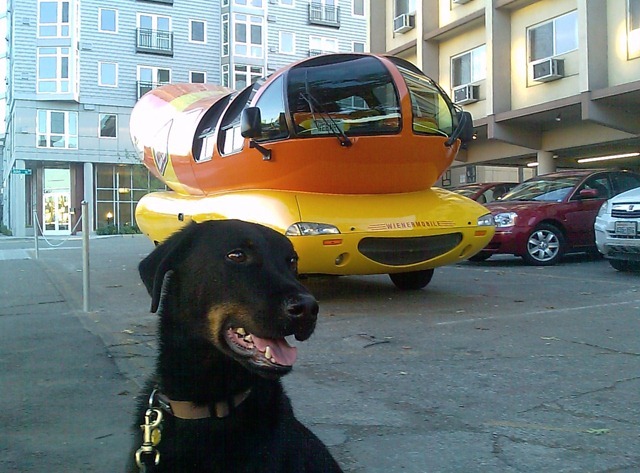 We can say that the Wienermobile is truly famous now that it has been photographed with Milo. Update: A friend of mine just told me something funny enough that I had to share it: “Milo seems unfazed by a one ton hot dog bearing down upon him. Clearly that dog has spent his life in the city.” I couldn’t agree more!